Student interest in college courses focusing on documentary media has never been higher. Why? Certainly, "documenting" their lives via Instagram and Snapchat is a popular social ritual. And streaming services such as Netflix, Amazon, and SnagFilms have made it easier than ever to watch a wide variety of nonfiction. However, my experience tells me that students' enthusiasm for documentary stems more from a desire to engage with the sociopolitical reality that surrounds them—one filled with great hope and anxiety. A graduate school seminar on Errol Morris first sparked my interest in documentary and its intersections with politics, cultural history and the public humanities. My pursuits eventually led me towards a book project that explores documentary film and television in Los Angeles during the 1960s and ’70s, as well as numerous iterations of a contemporary documentary seminar I teach as a professor at Hendrix College near Little Rock, Arkansas, and as a member of Summer Session faculty at Columbia University in New York City. Although these are quite different contexts, teaching the class at a liberal arts college in the South and at a large research university in the Northeast feels equally urgent. In my course, Contemporary Documentary Media, students from the production track, humanities and social sciences learn about the central place of nonfiction within our current screen culture, as well as the ways it can be used both as a means of personal and collective expression and as a tool for progressive change. 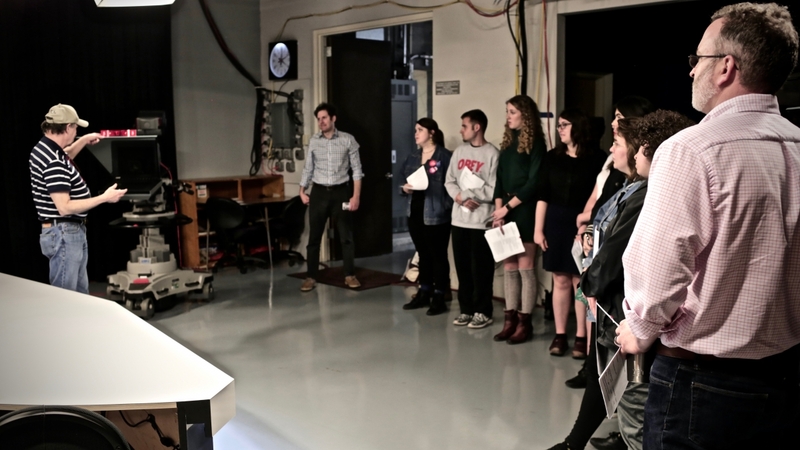 The class aims to equip students to not simply become more savvy and curious consumers of documentary, but to feel more empowered to analyze, talk back and contribute to the broader media environment. Crafting our syllabus poses challenges. Do we organize the semester by genre? Major movements? Filmmaker? We forgo a chronological examination of epochs or modes of production and instead investigate case studies associated with particular themes. We concentrate on documentaries created in the United States but also look at international co-productions and films whose topics move across national borders. I strive to show my students films that they will find personally meaningful, while at the same time exposing them to material that might not otherwise appear in their Netflix queue. Films include Laura Poitras' vérité-style Citizenfour (2014) and Risk (2016), about the American surveillance state; Meridian Hill Pictures' City of Trees (2015), a community documentary about the struggle for green jobs in underserved neighborhoods in Washington, DC; The New York Times' VR projects on daily routines and extraordinary performances of artists; and amateur videographers' short films about the Black Lives Matter movement. Because our course addresses such recent phenomena, and the study of documentary involves drawing on multiple academic disciplines, we don't use one central textbook. Excerpts from the books of scholars Patricia Aufderheide, Jane Gaines, Jonathan Kahana, Charles Musser, Bill Nichols, Chon Noriega, Michael Renov, Philip Rosen, Brian Winston and Patricia Zimmermann model different ways of thinking about the claims that documentaries make and the experience of spectatorship. These texts introduce key concepts such as mise-en-scène, editing, cinematography and sound, which help students to articulate what they are seeing on-screen, and to decipher the ways in which these stylistic elements contribute to a given film’s perspective, relationship to its subject, and place within a longer history of nonfiction media. To better situate these documentaries in their social contexts, we draw on articles from scholarly publications (Journal of Cinema and Media Studies), journalism from organizations specializing in public broadcasting (Current), emerging media (Immerse) and the industry trade press (Variety), as well as white papers from the Center for Media & Social Impact and the MIT Open Documentary Lab. These texts drive home how many projects are created in cooperation with complex institutions. We look at Spike Lee's collaborations with Sheila Nevins, former president at HBO Documentary Films; and Lucien Castaing-Taylor and Véréna Paravel's work within Harvard's Sensory Ethnography Lab. In turn, this wide-angle view emphasizes the financial and technical resources necessary for production, the multiple below-the-line and above-the-line players involved in shaping the look and structure of a documentary, and the ways it reaches viewers in the public sphere. Pursuing a comparative approach to our case studies helps students think through the ethical stakes surrounding editorial decisions. For example, I teach Vice's films about the career of Sinaloa Cartel leader Joaquín "El Chapo" Guzmán—Inside El Chapo's Escape Tunnel (2015) and Displaced in Sinaloa: The Hunt for 'El Chapo' (2015)—alongside the Documentary Now! series' mockumentary DRONEZ: The Hunt for El Chingon (2015). I ask students to reflect, first in small groups, then with the whole class, about Vice's style of reporting. The format of discussion in this way builds the students confidence in expressing their ideas, gives them the opportunity to share their thoughts in a more intimate setting, and ultimately cultivates a sense of rapport with their peers. They are quick to note how Vice's on-the-ground perspective offers a more sensory-rich encounter with the subject than mainstream news organizations' in-studio analysis by a correspondent or group of talking heads. At the same time, DRONEZ's depiction of bumbling hipster-reporters, emboldened by a desire to relay the dramatic "experience" of searching for a fictitious drug lord, encourages students to notice the implicit ideology of Vice's house style. Seeing the films together places in sharp relief the multi-media corporation's tendency to shy away from providing background and expert perspectives on a subject for the sake of generating a sensational encounter for viewers, one enhanced by fast-paced editing and a menacing musical score. Looking at interactive documentaries such as Living Los Sures (2014) expands our conversation of "immersion." Created by the documentary arts organization UnionDocs, this transmedia project uses filmmaker Diego Echeverria's 1984 vérité portrait of the South Williamsburg neighborhood of Brooklyn to explore the area's working-class Puerto Rican and Dominican history and present-day multicultural, multiracial identity. We examine Living Los Sures in stages, beginning with Echeverria's original Los Sures film, before turning to the three online components. How do we define each individually, as well as in relation to one another? Shot by Shot features community-generated metadata (photographs, maps, and recorded anecdotes) layered onto each of the 326 shots of Echeverria's film. The interactive short 89 Steps (made in collaboration with PBS' prestigious POV series) allows viewers to follow longtime resident Marta Avilés from the street to the interior of her South Third Street apartment, listen to her reflect on her life in Williamsburg, and explain her reasons for leaving. Southside Short Docs consists of over 40 films that portray issues such as the fight against gentrification, the efforts of civic-minded business owners to provide local services and debates over public schools. Our approach highlights Living Los Sures as not simply a database of isolated films or a "behind-the-scenes" look at an old documentary, but a project comprised of interlocking components that present histories of the area told from the perspective of those who live there. The form and intention of Living Los Sures extends to the classroom, as my students discuss affordable housing and the challenges of underserved communities in New York City neighborhoods as well as in their home towns and cities in Arkansas, Texas and Tennessee. 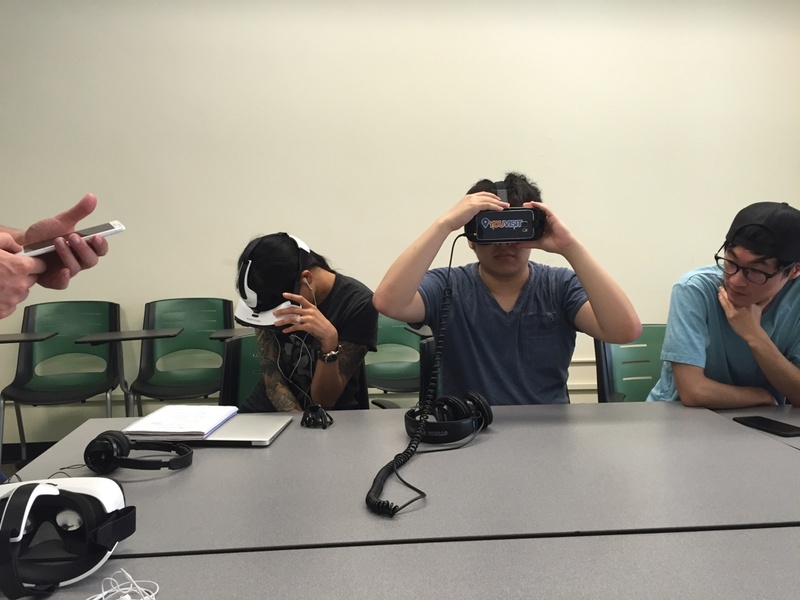 When we study The New York Times' forays into emerging media, I ask students to select two compelling projects from within the organization's growing VR database: one where the technology deepened their understanding of the subject, and another where it limited the storytelling process. The NYT's open-access VR app, along with inexpensive Google Cardboard VR glasses, make this activity possible. While my students definitely didn't come to any consensus, there were some common observations: they felt disoriented by films such as The Creators: Rob Pruitt (2017), a day-in-the-life portrait of artist Rob Pruitt. Watching Pruitt within the deep-focus, 360-degree framework made him seem too small and the locales in which he circulates (his apartment, the IKEA store, his studio) too vast. One student speculated that a vérité-style production would more closely link the intimate ruminations of the film's subject with the spaces of his routine. Vigils in Paris (2015), released shortly after the November 13, 2015 terrorist attacks in Paris, successfully registers a shared experience of trauma as well as the rituals of mourning. The VR perspective powerfully captures the sheer mass of flowers, signs and photographs assembled into makeshift commemorative displays in the eleventh arrondissement, and respectfully positions the viewer among those singing or standing in silent contemplation. Our conversation opened up a space to consider the possibilities and pitfalls of VR technology: "Is there such a thing as editing in VR?" one student asked, which led to a debate about to what extent viewers should be guided through a given environment in a tightly structured way or given agency to explore. Site visits and guest speakers familiarize students with the professional realm of documentary production, distribution, exhibition and preservation. At both Columbia and Hendrix, I start by looking to local resources and the school's homegrown talent. It's important to connect students with experienced professionals as well as younger documentarians with whom they can more easily relate. At Columbia, we hosted UnionDocs founder (and Columbia alum) Christopher Allen, who spoke about starting the documentary collaborative, the evolution of Living Los Sures and the challenges of fundraising. My students and I met Bianca Farrow and Michael Kamber on a visit to the Bronx Documentary Center to learn about documentary photography in the South Bronx and overseas. At Hendrix, we brought in Frontline producer (and Hendrix alum) Gabrielle Schonder, who screened her recent film, Bannon's War (2017). Hearing Gabrielle discuss her college coursework in political science, history and media showed students how her liberal arts education provided valuable training for interviewing, formulating penetrating questions and conducting independent research. Her outlining the workflow of a typical documentary made students more aware of all the distinct skills involved in bringing a production to life as well as the complementary role that different professionals play in a project. Incorporating site visits and guest speakers into the semester can lead to internship and job opportunities. At Hendrix, students have assisted with programming operations at the Hot Springs Documentary Film Festival, worked in the marketing and production divisions of PBS affiliate AETN, cataloged nonfiction holdings at the Butler Center for Arkansas Studies and worked with neighborhood organizations on independent films. Strengthening these networks and building bridges between in-class conversations and on-site learning expands our efforts to break down barriers that too often exist between the college seminar room and life beyond campus. Ultimately, it's my hope that by helping students to understand that they are deeply connected to the "real world" both inside and outside the classroom, they will be best prepared to shape it into the world they want to see. Essay on a documentary’s central claim (or set of claims): What does the documentary encourage viewers to question, challenge or advocate for? In what way does the documentary orient the viewer to this particular subject? The assignment pushes back against the notion that documentaries are "objective" and attempts to sharpen students' ability to decipher the relationship between content and form. In-class presentation—"Biography of a Documentary": Working in pairs, students research the origins, development and public life of a documentary of their choosing. The aim is for students to excavate and make associations between the different facets of production, distribution, exhibition and reception. Students also confront a documentary's resonance on various levels—for example, assessing policy changes engendered by the project or its reception within a community. Local Stories: Working in small, three-to-four person crews, students create short documentaries about a social issue on campus or the surrounding community. There are a number of set requirements for the assignment; for instance, documentaries should include interviews and original, observational footage. Special lab sessions offer training for interviews and the use of equipment. The goal is for students to better understand how private memories can become a kind of public history, and how individual lives connect with the social fabric of neighborhoods. Joshua Glick is Assistant Professor of English and Film Studies at Hendrix College and a member of Summer Session Faculty in Film and Media Studies at Columbia University. He is the author of Los Angeles Documentary and the Production of Public History, 1958-1977 (Univ. of California Press, 2018) and is currently collaborating on Last Days at the Duncan, a documentary about the contentious transformation of the historic Duncan Hotel in New Haven, CT. He welcomes comments and feedback at glick@hendrix.edu. Why Study Film History? I Came to Learn the Craft!